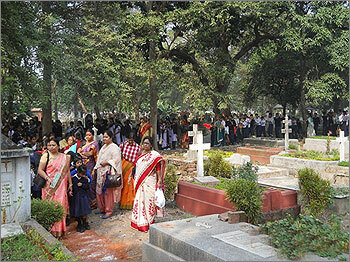 It was a cool, pleasant and sunny 1st December morning in the largest Cemetery of Calcutta, with trees all around and singing birds as if to welcome more than hundred special children from the Calcutta Blind School (CBS). 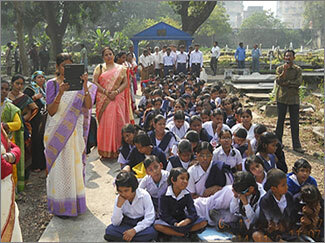 It was the Founder’s Day of the Calcutta Blind School, the oldest School of its kind in the East. 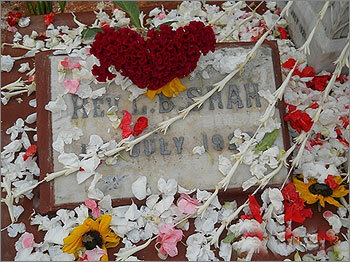 The Founder Lal Bihari Shah’s grave had just been restored from its ruins by the Christian Burial Board. 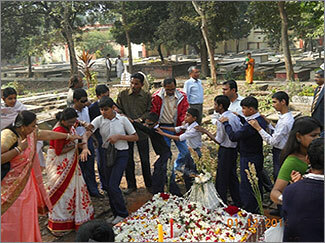 The students, parents and the staff came in three bus loads all the way from Behala for the first time in their life and paid homage to the restored grave of the Founder of their beloved school led by their young, dynamic and radiant teacher-in-charge Mrs. Lisa Banerjee (herself an ex-student) of the school. After visiting the restored grave of Rev. 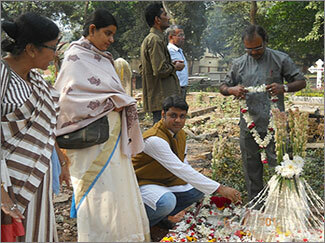 Shah every student, teacher, ex-teacher and present staff offered flowers, garlands and lit candles and incense sticks. They circled around the grave with folded hands and some of them knelt beside the grave. This was an unforgettable sight! 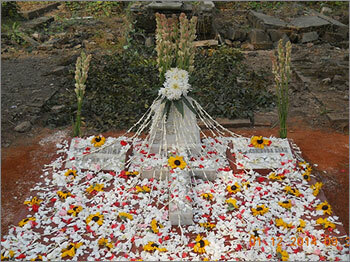 The family grave containing the mortal remains was lying neglected for several decades. 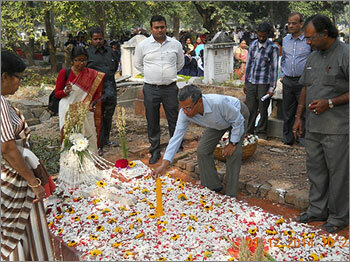 The Vishwakosh Parishad was represented by their President, Shri Partho Sengupta who promised to maintain this grave from now on in collaboration with the CBB. This was followed by a memorable musical programme conducted by the school children for the first time in the history of this 175 year cemetery or for that matter any other cemetery. Thanksgiving prayers from Rev. 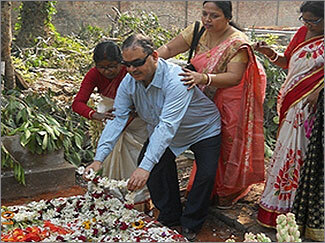 Monoj Ghosh, messages from past students, the Burial Board authorities and Mr. Prabhakar David of A.G. Mission translated in Bengali by Mr. Javesh Dutt, the Principal of D. F. Blind School, Kolkata were all very appropriate and meaningful. Many eyes became moist when we all sang “Aguner Parashmoni ……“ together. It was overall a very moving and unique experience for all of us. 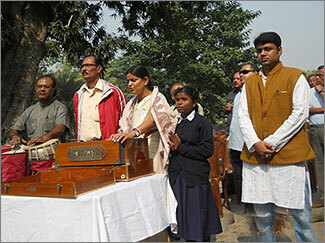 The special children from the Calcutta Blind School were really happy and thrilled and smiling all the time. The D.C. Traffic, the O.C. Traffic and Sergeants on duty of the Kolkata Police were very cooperative to manage this show during the height of office hours on the main road at the junction of Mullick Bazar and Park Street. Relevant photographs were taken by the staff of Calcutta Blind School on this momentous occasion which according to some of them was the most enjoyable day in their life! Who was Lal Bihari Shah? What was his contribution to save the blind children from complete apathy and neglect of our society irrespective of caste, creed and religion, including the street children? Click to know more details of this great son of Bengal.